Q: Fvdi 2018 can change km for Astra k and Corsa 2016? Q: You mean odometer correction cannot work for post-2014 vehicles or what else? A: For new vehicles after 2014, the diagnostics function works only. 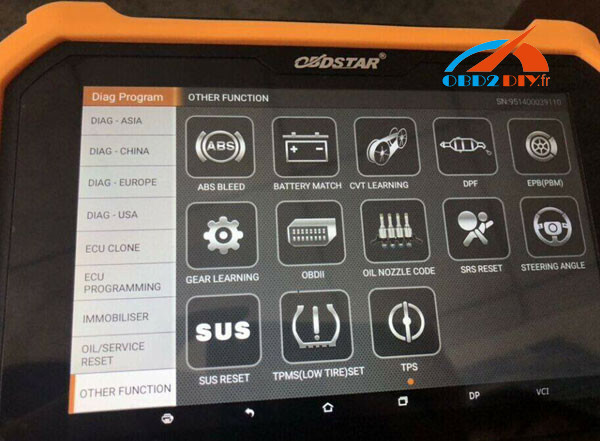 As for special functions such as key programming mileage change and the like, you have no luck but you could ask Obdstar X300 DP PLUS for help. Good luck! Immobilizer + Mileage correction + Diagnosis + Special function (Oil reset + ABS + Battery matching + ECU programming + EPB + Throttle programming + Airbag reset + TPMS + Steering angle reset + OBDII + DPF + Injector code + Suspension matching + Gear learning + CVT learning + EEPROM + Key renewing + ECU cloning)Adapter(P001 programmer + C001 circuit board + C002 circuit board + W001 data cable + W002 data cable + W003 data cable + Toyota smart key Emulator) + others(Ignition coil + Remote tester). Original:Fvdi 2018 odometer correction for vehicles 2018?